25 years later – and its still all a bunch of “Hocus Pocus”! 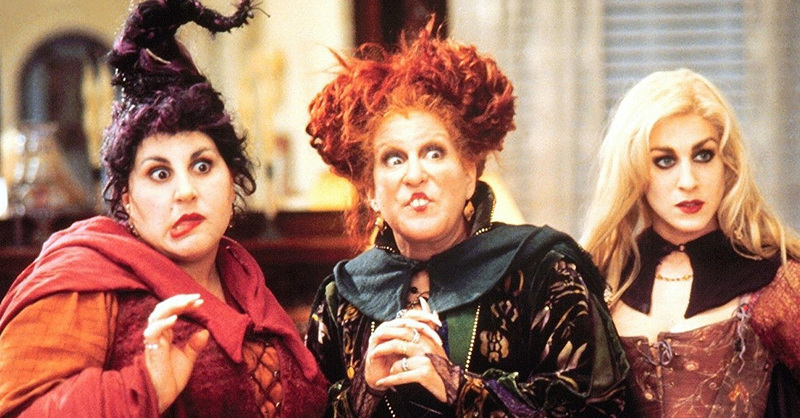 Almost a month after Freeform announced it’s “Hocus Pocus 25th Anniversary Special,” the OG star, Bette Midler, finally confirmed that she’d be joining the reunion – and we have a sneak preview of the special to prove it. The actress also confirmed that she was joining in on the fun through social media on Friday. “Wait, wait a minute,” Bette said in a video posted on Freeform’s YouTube page. “What’s a Sanderson sister celebration without Winifred?” she asked assuming the voice of her iconic character. The sneak preview and the YouTube video confirmed that the 72-year-old actress would be joining her former co-stars, Sarah Jessica Parker, Kathy Najimy and Thora Birch for the spooktacular special. The actress has been teasing a big reveal on Instagram for the past month – and we’re so glad that this is it! Join me @31NightsOfHalloween's #HocusPocus25thAnniversary Halloween Bash! We'll see you this Saturday, October 20, at 8:15pm/7:15c on @Freeform. “Hocus Pocus 25th Anniversary Special” will air on October 20 as part of Freeform’s 31 Nights of Halloween.